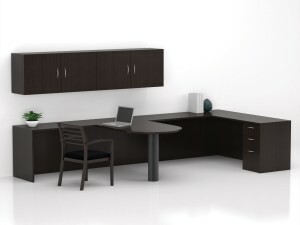 Purchasing remanufactured office furniture for your business in Toronto, Ontario, or any other city in Canada from Reusable Office Interiors can enable you to save money while still obtaining beautiful, Grade A furniture. At ROI, we provide our clients with remanufactured furniture from popular brands such as, Teknion, Haworth, Steelcase, Knoll, and Herman Miller, all of whom are known for producing furnishings that are built to stand the test of time. All of the remanufactured pieces in our inventory have been stripped down to their core and rebuilt using premium materials to meet our own stringent standards for quality. This thorough process ensures we provide our customers with furniture that is as aesthetically appealing as it is durable. And, because this office furniture is remanufactured, our customers are able to save a significant amount on their office furnishing costs when compared to buying new furniture. If we don’t have the exact piece of office furniture you are looking for, we will do our best to locate and provide precisely what you have in mind. Customer satisfaction is our No. 1 priority, so we want to make sure that we provide you with the style of product you are interested in. We also offer a number of services, such as office interior design and furniture delivery and installation, to help our customers construct their ideal office environment. Plus, we can even recycle unwanted furniture items for you, which might result in a tax credit for your business. To learn more about our remanufactured office furniture and the services that we offer to those in Toronto, ON, and other cities throughout Canada, contact Reusable Office Interiors today.